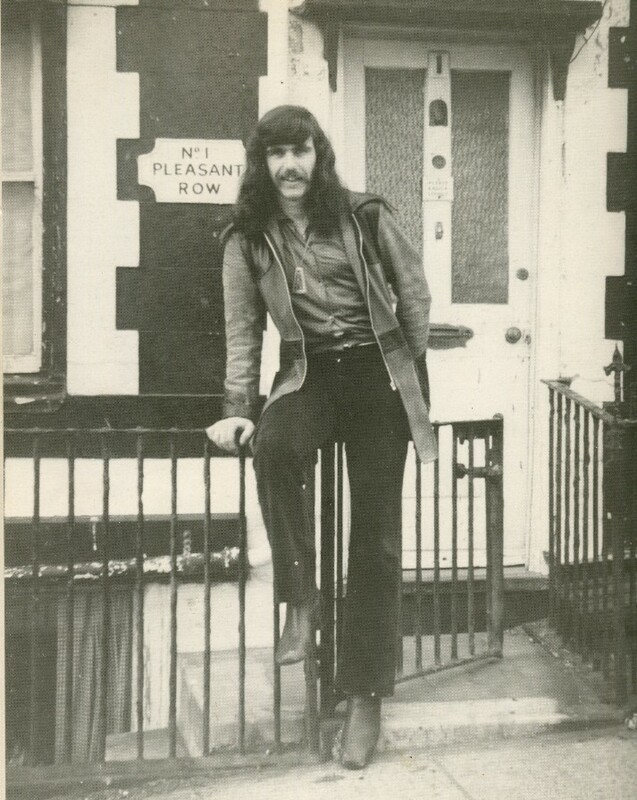 1969 The year Steeleye formed. 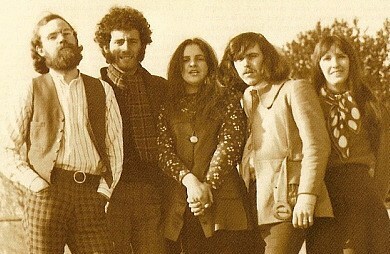 The initial idea for a band that would explore the electrification of traditional music from the British Isles started after discussions at the '69 Keele folk festival in the Summer between Maddy Prior, Tim Hart (Who had worked as a duo since 1967), Ashley Hutching's and Bob Pegg about their dissatisfaction of the isolationist nature of the British Folk scene. Later in the year, after leaving Fairport Convention, Ashley wanted to form a band with Sweeney's Men (Irvine, Moynihan and Woods). The band rehearsed for a couple of weeks but Irvine and Moynihan left after fallings out amongst Sweeney's Men, leaving Ashley with only Terry Woods (plus Gay who had come from Ireland to join Terry) . Ashley then called upon Maddy and Tim, recalling their discussions in the Summer. The band got together for rehearsals in the last few weeks of 1969. Ashley Hutchings; Terry Woods; Gay Woods; Tim Hart & Maddy Prior. 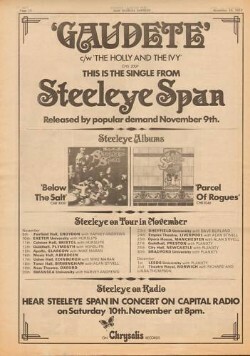 The first active year of Steeleye Span. 31st March : BBC Session (aired 11th April 1970). The only appearance of original band while they were recording the first album, but it has never Surfaced. 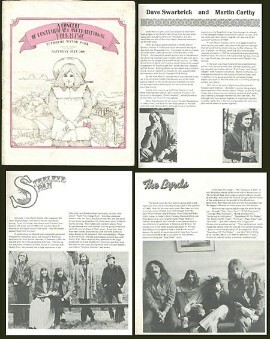 It was noted on 'The Journey' sleeve notes that the recording was lost. Full details are available on the 'BBC Sessions' page. The Band went into the studio in April and recorded an Album in one week. Gay & Terry Woods leave. The recording of the new album was fractious and with one song still to finish, Gay and Terry left. 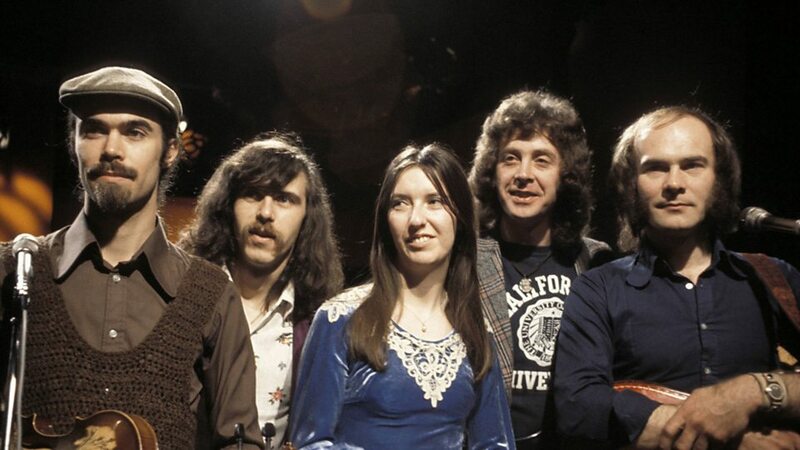 However, as far as they were concerned there was an agreement that if anyone left, the band split up and they didn't expect the remaining members to continue using the name "Steeleye Span". The band effectively split up with the Wood's leaving. Ashley went off to pursue a project with Bob and Carole Pegg. 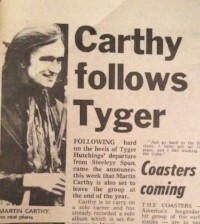 However, Tim Hart was keen to continue the project and called up Martin Carthy to see if he would be interested. This encouraged Ashley to try again. These 4 practised for 2 months at the Vicarage, St Albans (Tim's Parents) but soon realised they needed another multi-instrumentalist as they were too guitar heavy. FIRST ALBUM: Hark! 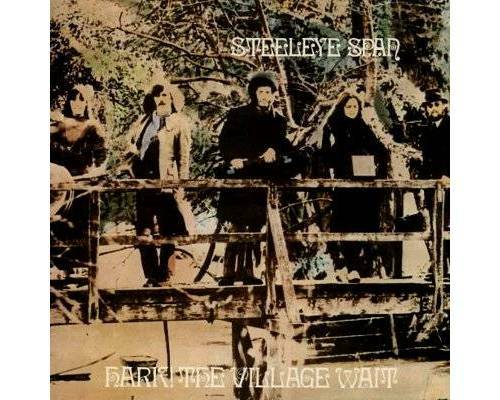 The Village Wait (RCA Records) Released. Released after the band split up and after Martin had joined, this debut album was from a line up that never played a live gig and broke up before the Album had even been completed. An album of all traditional material apart from the opener - 'A Calling-On Song' which was written by Ashley based on an old tune. The album had guest drummers Gerry Conway and Dave Mattacks, both of whom performed later with the band in the 90's. No outtakes have ever appeared from these sessions. A Wait is a Tudor village/town band. Peter Knight (Fiddle) Joins the band. 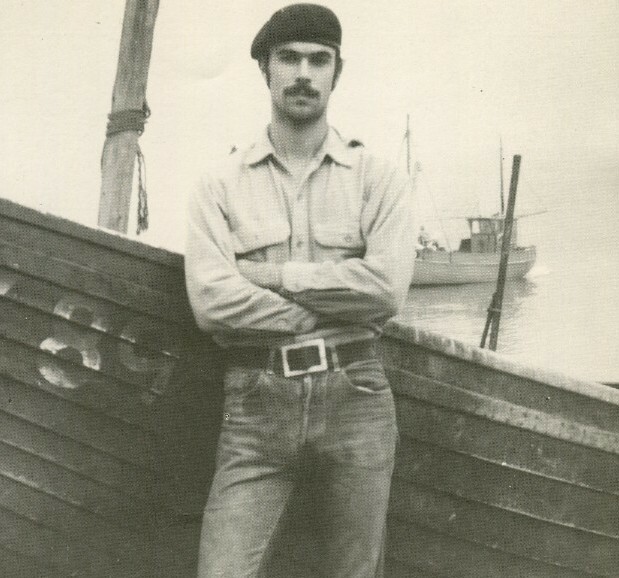 Peter Knight had been seen playing in the folk clubs with Bob Johnson so was known to Ashley, Tim and Maddy. Peter was Classically trained which appealed to Martin and Tim as they had a good musical knowledge themselves and wanted to explore more complex arrangements. This then completed the first Steeleye Line up that went out and played live and produced two classic Electric Folk Albums. 23rd June: BBC Radio John Peel Session (aired 27th June as a 'Top Gear' episode). This is almost certainly the first performance of the new band. Full details of this, and all the BBC sessions that are references in the timeline, are on the 'BBC Sessions' page which has track listings, availability and other information. The tracks are available on 2006 Re-issue of 'Please to see the King' and is often repeated by the BBC in better quality, most recently on 11th September 2018 on BBC 6Music. As rare as live recordings of the band are, it is fortunate that, what I now believe to almost certainly be the very first appearance of this line up, was recorded and is still available. 11th July: BBC 2 TV (Disco 2). 11.35pm with Alan Brown, Justine and Steeleye. 25 minute show so probably only one or two songs from Steeleye, but is almost certainly their first TV appearance. 16th July: BBC Session (Sounds of the 70's, Aired 23rd July) Some tracks are on 2006 Re-issue of 'Please to see the King'. Full track and session details are on the 'BBC Sessions' page. 31st July – 2nd Aug Cambridge Folk Festival - Live Debut of the band. 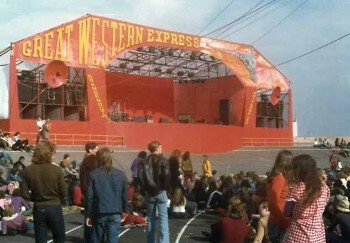 Played in the 'Club tent' included 'Rave On' but reportedly only played 2 tracks. 13th: Appeared on Sounds of the 70's with Pete Drummond. No track details. Could be a repeat. Unsure on date: ATV Birmingham television programme 'The Music Room'. These tracks (except for Prince Charlie Stuart) are available on the 2009 Castle CD Reissue of 'Please to see the King' , the tracks are not in order though and listed incorrectly in places on the CD (i.e. Lark in the Morning as TopGear). Note that [thanks to info from Simon Jones and Chris Haines] the performance below on YouTube that is listed on there as being from a 1971 'Top Gear' session, is actually this Music Room appearance. No one is certain of actual date of recording. I have seen the broadcast listed as 18th October 1970 a couple of times so that is the best bet for the broadcast, but the recording date is unknown. 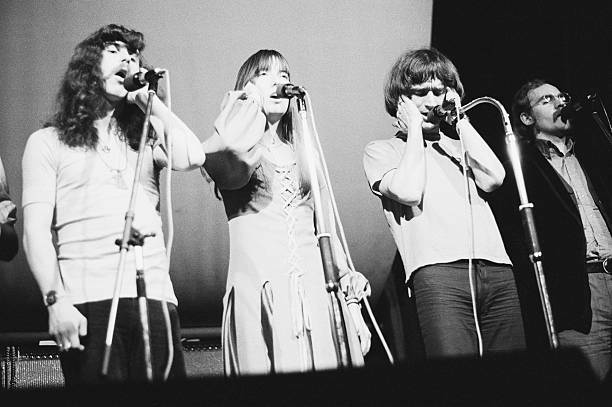 It is a truly remarkable early performance of Steeleye and hopefully the full show will be made available one day. The programme was actually about how to make your own Dulcimer, and Tim's was shown extensively, hence the keen interest the presenter has in watching Tim! Only this one track, the Lark in the Morning, has surfaced so far on video. 30th Sept Saltford University . 1st Proper Concert for the band. 17th: BBC Radio 'Folk On One' Session. (recorded 29th Sept). Most tracks appear on 'Please to See the King' Re-Issue CD and some on Ashley Hutchings 'The Guv'nor Vol 1'. Full Session details are on the 'BBC Sessions' page. 6th Havestock Hill Country Club. 13th: Play 'Pirates'. One night only at the Royal Court, a play by Keith Dewhurst. Songs arranged by Martin Carthy, Sung by Steeleye Span. 26th Sang Carol's at St Saviour's Church, St Albans. Per article the group were going to Manchester to record Carols for Granada TV. 10th Wawick Uni. 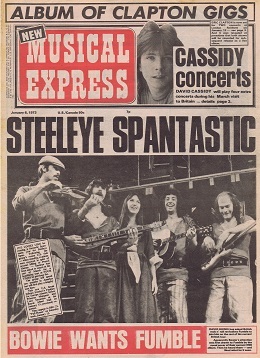 Review say Steeleye are 'one of the brightest prospects for 1971..' and that after the performance 'the most hardened traditionalists cannot fail to be won over'. 4th: BBC Radio 1: Sounds of the 70's. Recorded 21st Jan. 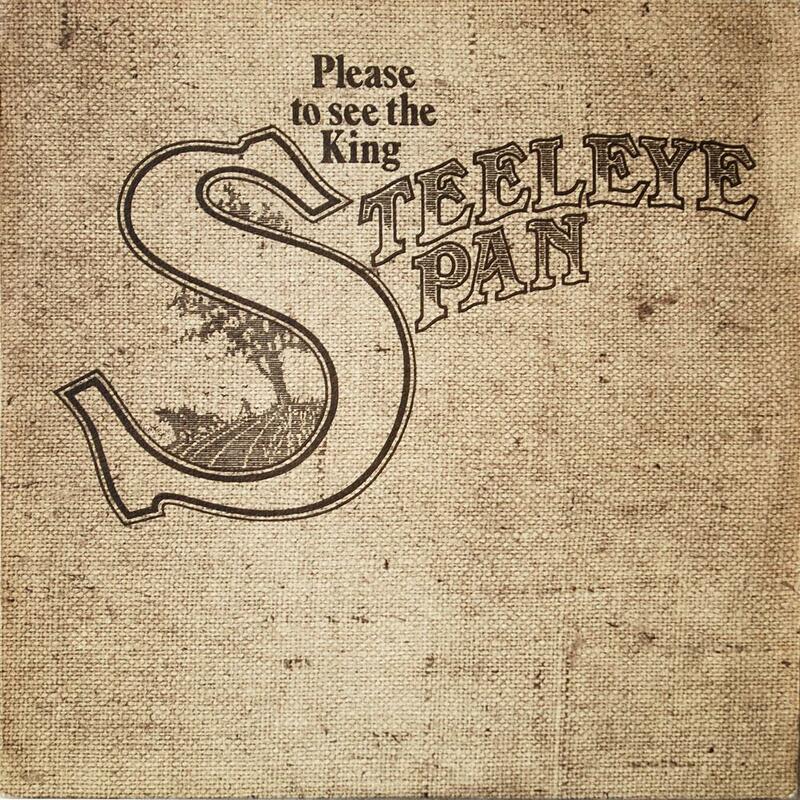 Tracks Appear on 2006 re-issue of 'Please to the See the King'. Full details on the 'BBC Sessions' page. 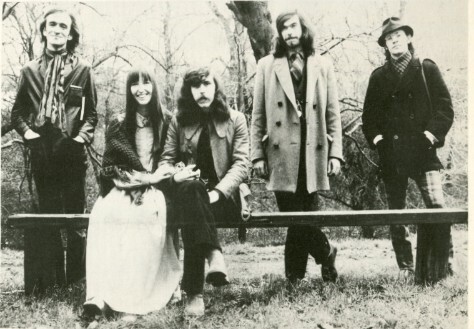 25th: BBC Radio 1: Sounds of the 70's with Steeleye and Shirely Kent. No other details other than Radio Times listing. 28th London, Gaumont State Theatre; False Knight on the Road; Lark in the Morning; The King; Reels; Cold Haily Windy Night; Bright Morning Star; Rave On; Female Drummer. With changes in the band a second album was quickly needed and the result was a very 'electric-folk' sounding album with no drums and was a sound that would define the bands early years before moving on in a 'folk-Rock' direction. It reached No.45 in the charts. The cover to the original LP was in a lovely hessian material. All songs are traditional and a later castle CD reissue (2003) included a series of Off-air recordings of BBC sessions. Produced by Sandy Robertson and released on B&C records. The title is a reference to the 'Cutty Wren' ceremony where a Wren is paraded like a King on 26th Dec.
19th Bradford University: Steeleye Span, John Martyn, Dr Strangely Strange. 4th Inverness Town Hall Folk Festival; False Knight on the Road; Wee Weaver; General Taylor; Lark in the Morning; Female Drummer; Lovely on the Water; Rave On. 10th (or 11th) Rocky Road Nightclub. Coventry. Advert in Coventry Evening Telegraph on the 10th. 6th Uni OF Essex, Colchester. Gower Wassail; General Taylor; Captain Coulston; Female Drummer; Skewball; Rave On; Jigs. 19th - 23rd First Performances of the play 'Corunna' at Royal Court Theatre (upstairs). There was plans to move the show to the 'Young Vic' but Ashley was not keen and fought against it. 4th June: Tim Hart and Maddy Prior Album: Summer Solstice (B&C). With Tim and Maddy continuing to tour they took the opportunity to release a 3rd album as a duo, but the first after Steeleye had started. This time it was recorded under B&C which gave them the opportunity to take more time to produce a more full sounding record with guest musicians and using multi track production techniques and overdubbing which they were unable to afford on their first two albums. As was accepted with this line up, the band members all had other musical interests that they carried on pursuing alongside Band commitments. 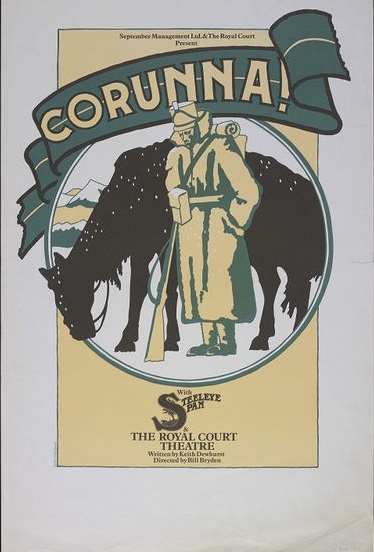 The tour included the play 'Corunna'. 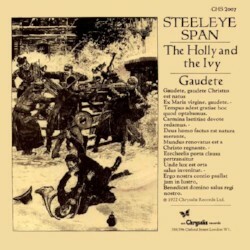 It was written especially for Steeleye and told the story of soldiers and camp-followers travelling across Spain during the Napoleonic Wars. 13th: ITV: 'Out Front'. Ainsdale Beach, Southport. Recorded on 30th June. With Fairport Convention. Was meant to be a small 'made for TV' concert advertised locally as a 'Free Beach Party' where people were encouraged to 'Do Your Thing'. But people heard there was a free 'Festival' so turned up in their hundreds. The crew had only expected a few locals so had to set up new speakers so everyone could hear it. Videos Below. The Lark in the Morning; Reels; The Female Drummer. 17th London Festival Hall 'Folk In'"the greatest folk event ever". Review in NME. 20 minute set including Lark in the Morning & Female Drummer. 24th Tupholme Festival "Concert Of Contemporary & Traditional Folk Music" w.Maddy Prior who sang 'the dying soldier'. One day festival with an estimated 60,000! 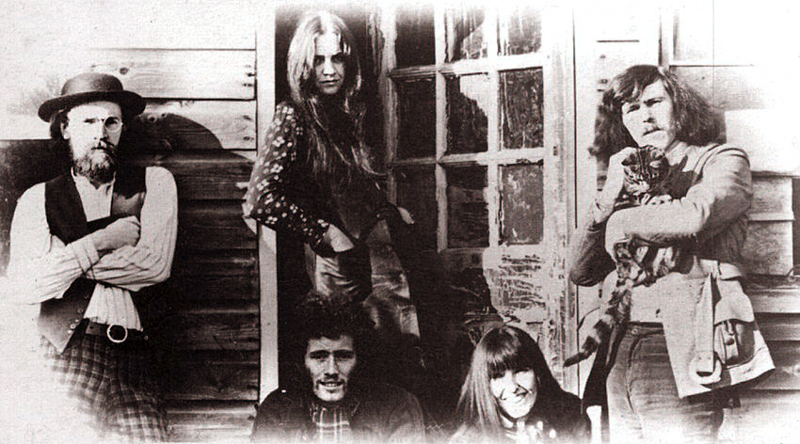 Incredible String Band, Pentangle; Sandy Denny and The Byrds all attended. 14th 'Feast of Folk Festival. Syon Park, Brentford "Folk song and dance festival"
31st Pipers Tuesday Folk ConcertSt Johns hall Penzance. Recorded Ten Man Mop and the following sessions at the same time. 15th (aired 26th) : BBC Radio 1 'John Peel's Sunday Concert'. The most extensive BBC Radio Session by the band. Appears almost in full on 2006 Re-issue of 'Ten Man Mop' but a much better quality recording exists as a Bootleg. Full details are available on the 'BBC Sessions' page. 22nd: BBC Radio: Sounds of the 70s with Pete Drummond. [aired 30th Sept]. Peter Knight was ill for this session which gave it a more unique set list and feel. Full details available on the 'BBC Sessions' Page. 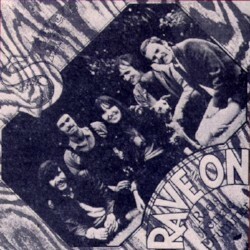 1st: SINGLE: 'Rave-On' (B&C records). Maxi single with Female Drummer/Reels. Long before the band started introducing the 'Rockers Encore' they recorded this single for a 'bit of fun' which their manager thought may do well as a novelty single. Apparently Tim and Maddy were singing it in the car, mainly to annoy Ashley, but he actually commented that it sounded quite good - which led to a release. The single got plenty of airplay but no real chart success. Up to this point the band had played on a rather ad-hoc basis, reflecting that they were still a relatively small niche band, as well as the fact that they were fitting in gigs around the existing commitments of the members. 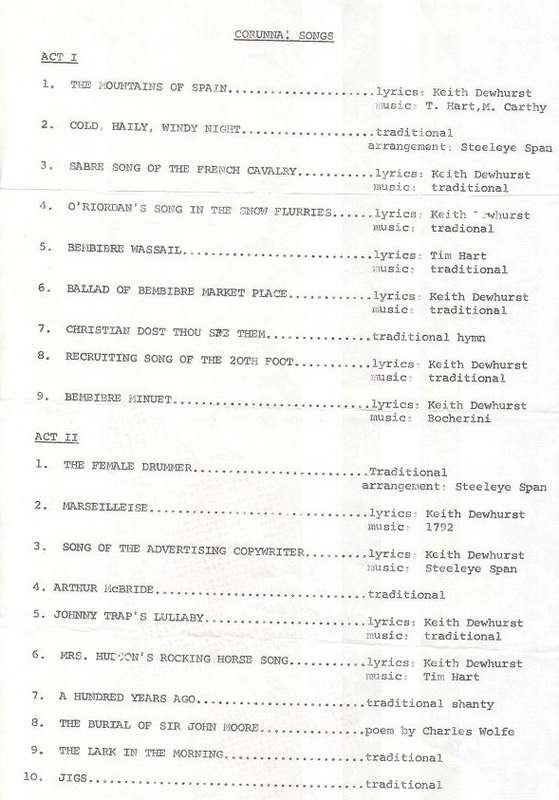 The set list also seemed to reflect this with quite a few songs brought from the solo repertoire of the band members. 19th Birmingham Town Hall. Review mentions these songs: 'We poor Labouring Folk; 'Egg Pacing' & Sweep Chimney Sweep'. The latter of course Martin would bring back in '77. 28th BBC Radio Sounds of the 70s with Pete Drummond. Per Radio Times synopsis: Radio 2's VHF channels join Radio 1 for two hours of progressive pop With Steeleye Span, Lindisfarme, Uriah Heep; Heads, Hands And Feet. The second and final album from the Mk II line up and it was similar to the last one with traditional material in an 'Electric Folk' style. 'Easier to listen to....much neater' as Ashley put it, but for him not as interesting as 'Please to see the King' so he felt that he had done what he had set out to achieve - part of his reason for leaving the band. The incredible luxury packaging of the original LP, coupled with a lack of chart success compared to the last one meant the band did not make any money on the Album, again a possible reason for the upcoming break up. For the record, a 'Mop' is a hiring fair and 'Reservoir Butler' was a traditional singer of one of the songs on the album. 'General Taylor' is an outtake from the recording sessions and appears on various collections. Sat ? Leas Cliff Hall, Folkstone. A Saturday in November. Gig details thanks to Clive Pilcher. BAND CHANGES: Ashley Hutchings and Martin Carthy Leave the band replaced by Bob Johnson and Rick Kemp. 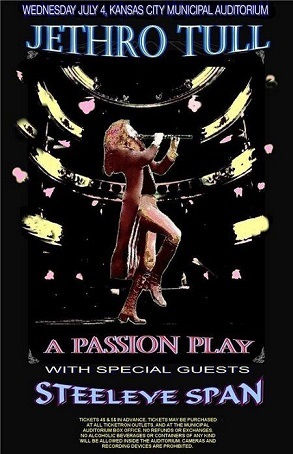 The exact dates are not clear but it seems that Ashley Hutchings announced he is leaving the Band internally before or during the October Tour. Maddy and Tim said it was because he didn't want to continue with the play 'Corunna' (A tour had been lined up for the Autumn) and because he didn't want to fly to America. Carthy says it was because Ashley thought the music was to 'Irish'. Ashley himself has indicated since that he just felt he had finished what he set out to achieve and the band had run its course. His announcement was almost certainly in November, probably just before 27th (RM Article). 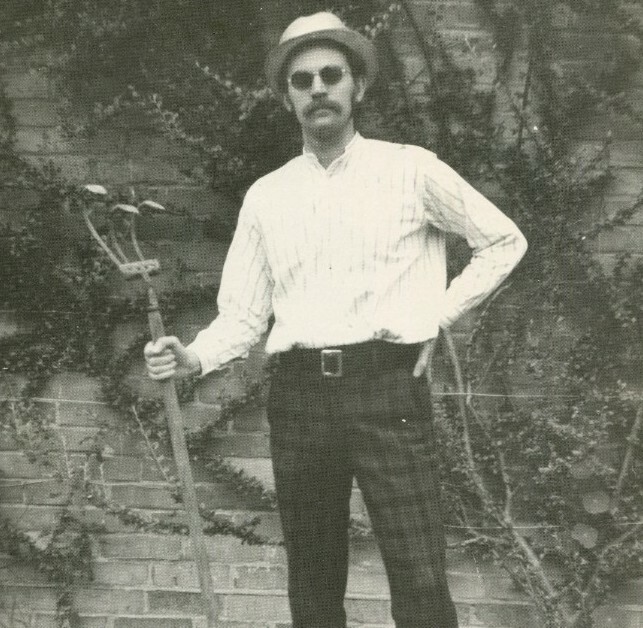 Rick Kemp was asked to replace Ashley by Sandy Robertson, who knew Rick well, and agrees assuming that he would get the chance to play with Martin Carthy. It is believed that this this line up did one experimental gig, which could possibly be the 4th of December show below. 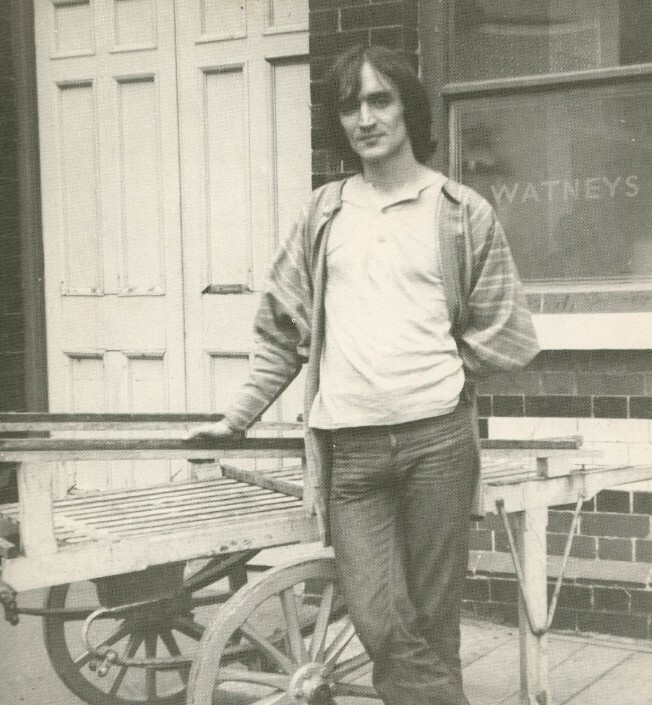 Subsequently however Martin Carthy also announces he is leaving, (5th Dec announced in NME that he is leaving at end of the year). Carthy made it clear it was amicable and suggested it was because for him the 'balance' of the band was not right after Hutchings left. Subsequently it was confirmed that it was mainly because he did not want a Bass player to replace Ashley, but rather wanted a Multi Instrumentalist to explore different sounds. Peter Knight then suggests Bob Johnson as a replacement for Martin, with whom he worked with as a duo. The public announcements of Carthy leaving and Rick and Bob joining were made at the same time. Not 100% if Rick then did some further dates in December after the 'experimental' one with Carthy, but a review in Birmingham Daily post suggests he did, although articles when Carthy left suggested Rick and Bob would join after rehearsals in January. It was also announced that Maddy and Tim would stop taking Folk Club bookings as a due to take a rest from being a duo a nd to focus on the new line up and not get stale. 4th Dec Birmingham Town Hall. Birmingham Daily post says the band are still 'numbed' by recent departure of Ashley, and the 'imminent departure of Martin' It also says "Rick Kemp, Ashley's replacement was 'introduced' so this, or the night before, could be the experimental' gig that this line up did with Rick and Martin. 16th London College of Printing . Included Sweep Chimney Sweep, Wee Weaver & Saucy Sailor. 17th Little Theatre Middlesbrough. Almost certainly Martin Carthy's last gig with this line up. American Jo Lustig becomes the Band's manager and signs them up to Chrysalis Records. 31st: BBC 'Top Gear' (John Peel Session): See 'BBC Sessions' for full details. First Tour debuting the new line up. 29th Winter Gardens, Weston Super Mare. The tour was in the midst of 3 hour Power cuts that were occurring at the time due to the Miner's Strike. This particular show was brought forward to try and finish before the 9pm cut. However, the cut came early, so under Emergency lighting the band stayed on stage, holding candles signing unaccompanies for the least few songs! Thanks to Clive Pilcher for his fantastic memories of the concert. 21st Feb: BBC Radio 1 'Friday Night is Boogie Night' (John Peel Session). See 'BBC sessions' for full details. 1st: BBC Radio Session: 'Sounds of the 70's' (recorded 17th May). See 'BBC Sessions' for full details. UK Tour or just one off dates? 4th: BBC Radio 1 'Friday Night is Boogie Night' (John Peel Session). Full details on 'BBC Sessions' page. European Dates? Per 'Tim Hart's Complete Steeleye Span Story' there should be some. 3rd-17th Play: Edinburgh, Lyceum Theatre. 'Kidnapped', another Keith Dewhurst play. Musical adaptation of Robert Louis Stevenson's 'Kidnapped'. Jo Lustig suggested a West End run in the Spring but it never happened in the end. Ran for 2 weeks per NME. See Review below. During the press photocall the band played Rag Doll. Included the songs: General Taylor, Rosebud In June, Cam Ye O'er Frae France, Parcel Of Rogues, Young Neil My Darling, Bonny Moorhen. Ended with Jacobite Rock ('an hilarious vocal from Kemp'), Jigs. 19th London, Lyceum Theatre. Final two Kidnapped performances. A new record Company, new band members, a new Manager and a new direction. All the tracks are traditional but some have a more rock sound feel to them and in King Henry start Bob's record of introducing the 'Big Child Ballads' with very 70's Rock arrangements. If you ate 'below' the salt at the dinner table it meant you were poor. The album returned the band to the charts reaching No.43. 23rd Sept. Grangemouth Festival, Scotland. With Jeff Beck Status Quo & Lindisfarne. 12k people at a damp 1 day festival. Steeleye were third last before Status Quo and Jeff Beck. Compare was John Peel. 17th Birmingham Town Hall. Sang 'Weaver and the 'Tailor'; Parcel of Rogues, Gaudete. 26th City Hall, Newcastle. Bootleg: Spotted Cow; The Ups and Downs; Cam Ye O'er Frae France; John Barleycorn; Bride's Favourite/Tansey's Fancy; King Henry; Wee Weaver, Reels; Gaudete; Royal Forester; Rag Doll; Jigs. 15th Oct BBC Radio 1 ' Sounds on Sunday'. 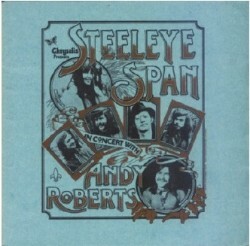 (Recorded 19th Sept) Whole hour on Steeleye Span. See 'BBC Sessions' for details. 24th Oct John Peel Session. (Recorded 2nd Oct) See 'BBC Sessions' for full details. This tour was alongside the launch of the Chrysalis label in the US, which was distributed by Warner Brothers. The initial album release to support the tour was Below the Salt. The tour went well with some reviews saying Steeleye outshone Procul who repeated their set list from a previous visit. 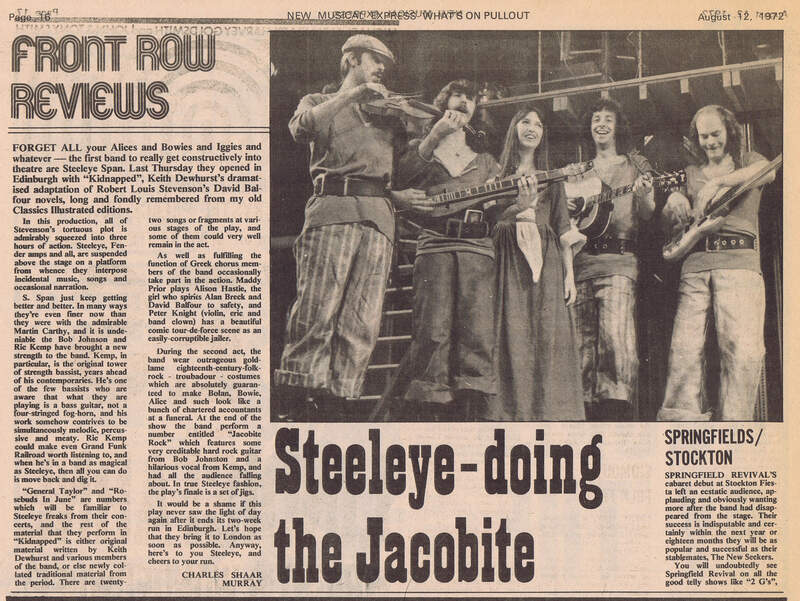 In a US newspaper article after the tour (written in Feb 1973) it said about this US Tour that Steeleye travelled 20,000 miles and gave 84 performances in 77 days, which suggests a few double performances and some additional dates to what is listed above. Which does suggest, as said below that the tour was extended for a series of solo/club dates (not with Procul) that extended into December. The only confirmed UK date in December was 30th so this could have easily been the case. 2nd Palace Theatre, Albany, New York. 3rd Meehan Auditorium, Brown Uni, Providence, Rhode Island. 5th Boston Aquarius Theatre. 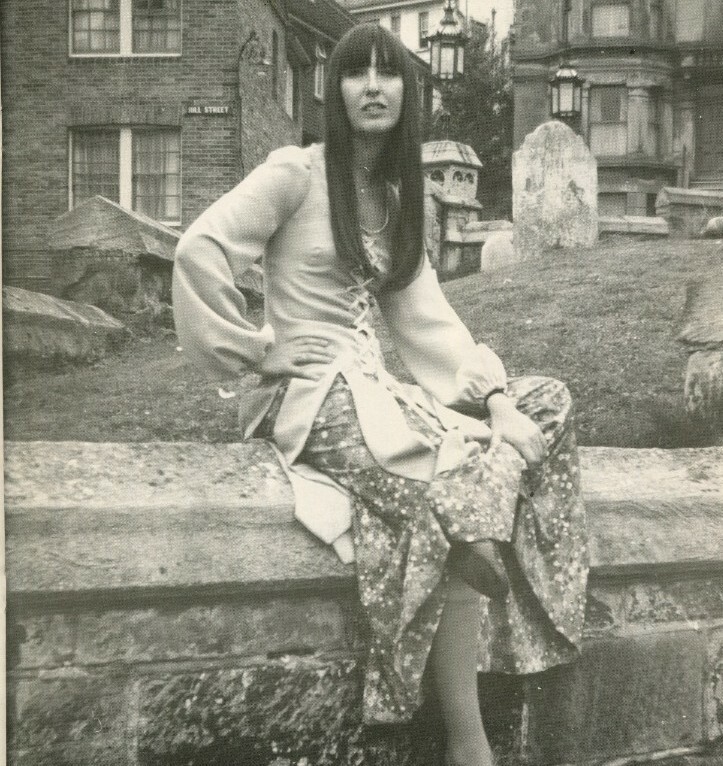 Write up on Procol site: Steeleye 'played a lively set to generous applause"
6th New York Queens College. 8th Alumnae Hall, Brown Uni, Providence, Rhode Island. Steeleye back to Headline. ?th New York Academy of music. Not sure if Steeleye there. 17th John Carrol Uni Gym, Cleveland, Ohio. 21st-25th (unsure exact dates) Ash Grove Theatre, Los Angeles. Not with Procol (Loudon Wainright III). Probable residency as shown as appearing on 25th in local newspaper. 24th November : SINGLE: Holly and the Ivy/Gaudete. 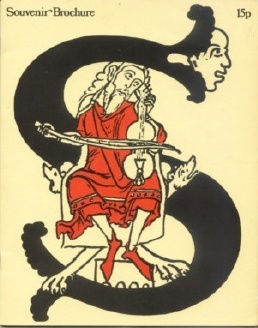 Interesting release as it was the first, yet 'unsuccessful' attempt to release Gaudete. It was not until a re-release in 1973 that hit became a hit. 27th Nov: BBC Radio 'Sounds of the 70's' with Bob Harris. (recorded 11th Oct) Full details on the 'BBC Sessions' page. Per a cutting, the 'tour' (? The US one?) extended to December 13th with a series of 'club dates' with Loudon Wainwright. This makes sense given the newspaper article above. (120 appearances!) The busiest year for the band in all their 50 years. 2 long tours in the US, including supporting Jethro Tull creates Front page media interest in the UK. New Album, lots of UK appearances and a Christmas Hit! 13th Jan 'Full House' BBCTV appearance. Synopsis: 10.45 Steeleye Span. 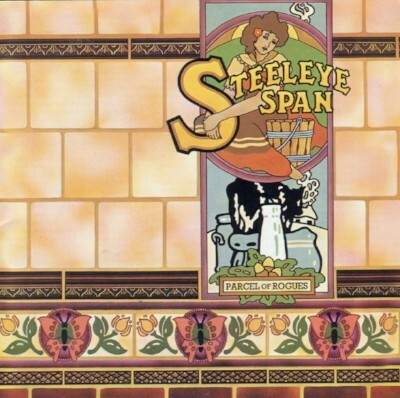 Imagine a group of village singers in 18th-century England playing electric guitars and percussion instruments - that's the kind of music Steeleye Span make, traditional airs from all over the British Isles performed in the rock idiom. 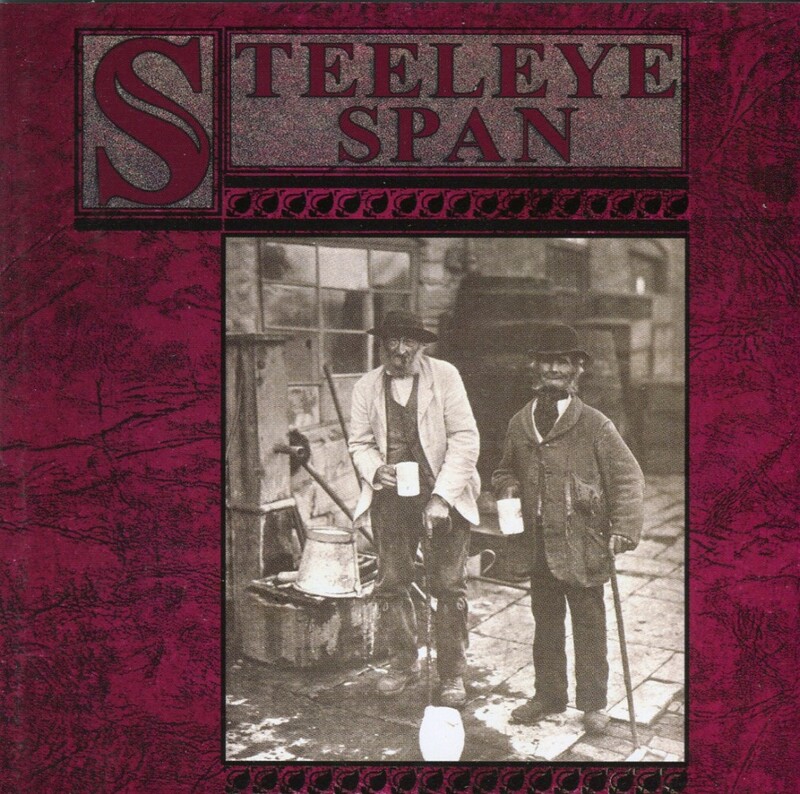 Steeleye Span are MADDY PRIOR, TIM HART , PETER KNIGHT , BOB JOHNSON , RICK KEMP. They played Gaudete; Spotted Cow; One Misty Moisty Morning; Cam Ye O'er Frae France. No Footage currently from this Sunday night Live Arts show is available but it does seem to exist, as the BFI found the tapes when researching a Ken Loach play that was on the same episode. 15th Fanfare For Europe Concert (Last Concert in series of events). Albert Hall, London. With Planksty & Derek Brimstone. The concert was part of the UK Governments 'celebrations' on the UK's ascension to the EU. A two-week festival of culture: a ‘Fanfare for Europe’, showcasing more than 300 different events. The show included the 'Rockers Encore' that the band had started doing regularly which included dressing up and playing one or two 50's Rock 'n Roll covers. Prime Minister Edward Heath was at the concert and met the band afterwards. Saucy Sailor, Misty Moisty Morning, Sheep Crook And Black Dog, Spotted Cow, Cam Ye O'er Frae France, Alison Gross, Three Drunken Maidens, Gaudete, Parcel Of Rogues, Robbery With Violins, Encores: All Dressed Up and Nowhere To Go, Hello Mary Lou. 16th: John Peel Session. (aired 6th Feb) See 'BBC Sessions' for full details & Track listing. 17th Frankfurt Jahrunderthalle. 'Sound of Britain' concert with Gentle Giant, Amazing Blondel & more. Potential US Tour. Maddy in an interview in Dec '72 said they were returning to the US in January. No evidence and not mentioned in NME so likely to have been cancelled/moved to March. 3rd March ITV: Russell Harty Plus (11.30pm) with Shirley Bassey and Joe Bugner. British Tour. Support: Planxty on some dates. April 12th: BBC2 TV - "In Concert" . 2nd US Tour: 'Parcel Of Rogues Tour'. Some dates are supporting Procol Harum. 'A very chaotic tour by all accounts with a very demanding and badly planned itinerary with lots of travelling. 'All Dressed Up and Nowhere to Go' appeared as an encore, all part of the 'rockers encore' that the band frequently did at the time. According to NME they could command 4 times the fee of last year due to rising popularity. A good chance to hear 3 of these concerts on off-air Radio recordings. One day would be nice if the Master Tapes were found and officially released to hear them in great quality. 1st April: Massachusetts. 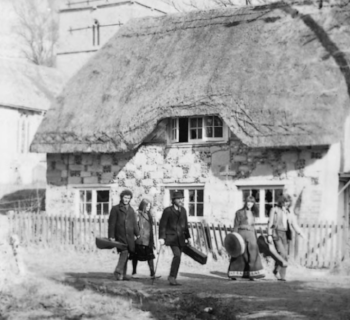 This was the start of the Procul tour but its not 100% known whether Steeleye was at this one. 5th Hartford Uni, Conn. With Procol Harum. Hello Mary Lou and Gaudete sung. 15th Muhlenberg Memorial Hall, Allentown, Pennsylvania. Supporting B.B. King. 19th The Dome, CW Post College, Greenvale, Long Island NY. With Procol Harum. Bootleg: One Misty Moisty Morning; Oak Tree/Pigeon on the Gate; Up's and Downs; Cam Ye O'er Frae France; Alison Gross; Robbery With Violins; Spotted Cow; Gaudete; Royal Forester; All Dressed Up and Nowhere to go; The Masons Apron. 20th Tower Theatre, Philadelphia, NY. With Blood Sweat and Tears. Note clash with date below. I think this one is correct. 20th My Fathers Place, Roslyn, NY. Broadcast on WLIR-FM - Long Island. Some tracks on a famous Bootleg - 'Sunken Meadows', The rest on a separate Bootleg: One Misty Moisty Morning; Up's and Downs; Oak Tree/Pigeon on the Gate; Sheep Crook & Blackdog; Spotted Cow; Jigs/Reel; Rouges in a Nation; Cam Ye O'er Frae France; Alison Gross; Robbery With Violins; Gaudete; Royal Forester; The Masons Apron. ?? 23rd ish: 2 shows in San Francisco at 'Winterland' venue. w.Sha Na Na (per 'Complete Steeleye Span Book'). This is now disputed. It appears that Steeleye did not play these gigs with Sha Na Na. But, they did at some point play with them, possibly Stamford California around the same time - one cutting has a review, seemingly from 20th April (but could be 13th) in Stamford California with ShaNaNa. 6th: Santa Rosa Theatre, Houston. (per Newspaper Archive). With Gentle Giant. 23rd-27th: Ash Grove, LA. One Week Residency. (newspaper). Further residency dates. 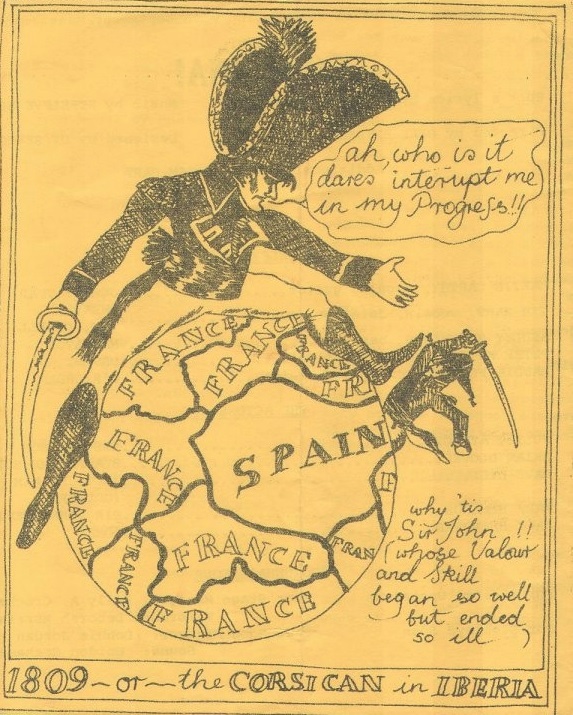 This comes from a newspaper archive site so reputable. This residency fits in with further hints in articles about a further solo US Tour dates with Sha Na Na but no exact details found. Later this tour was said to have been 7 weeks so these dates all do work out. Joins '2 weeks before US tour'. (NME) The band, after touring the US , and with another upcoming US tour supporting Jethro Tull in big stadiums knew they had to beef up the sound of the live band. Per Record Collector he joined 'half way through US tour', but that doesn't stack up with NME. In a US newspaper article Peter said about adding a drummer: "It wasn't our image to have one, but the music needed one. The music was slightly stale, slightly stagnant, Nigel is a very tasteful drummer, out of all the ones we auditioned he was the best". 15th June Nottingham Trent Uni. 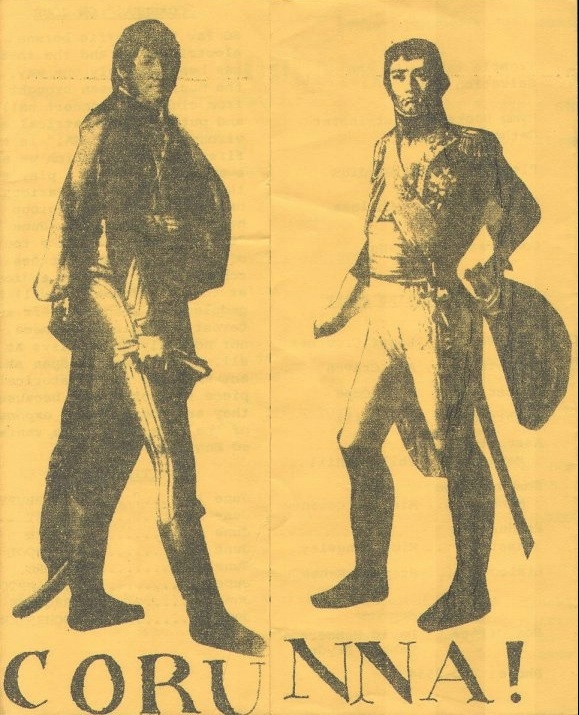 Nigel's first gig per MS review as well as NME. 16th Bristol Colston Hall. Lyke Wake Dirge (first time?) into Robbery With Violins/Jigs, Misty Moisty Morning, Weaver And Factory Maid, Sheepcrook And Black Dog, Alison Gross, Wee Wee Man, Cam Ye O'er Frae France, Gaudete, Royal Forester, Musical Priest, Long Tall Sally (Rick singing) (NME Article). 3rd US Tour (Supporting Jethro Tull). 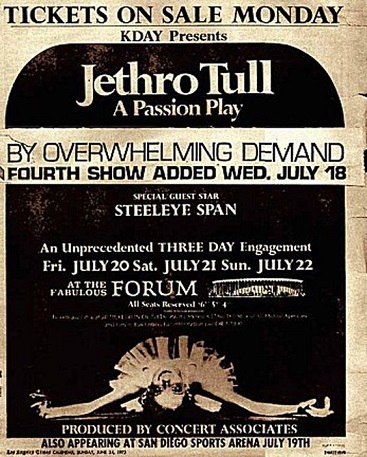 Coming off the back of a '7 week tour' in the US, Steeleye came back to support Tull as the 'offer was too good to refuse' and the 'great opportunity for such vast exposure'. (newspaper article). However, the fee they received was not enough 'to pay for the airfares and hotel bills' but as Rick said: ' There were bands that would pay money to be on this tour'. Audiences were shocked by Steeleye who came on dressed in Cassocks with tall hats and ribbons, singing 'Lyke Wake Dirge' which is a lamentation at a vigil of a deceased person before they are buried. The shows were very visual with dancing and a dramatic light show, which tied in well with the 'Passion Play' which Tull were touring with. 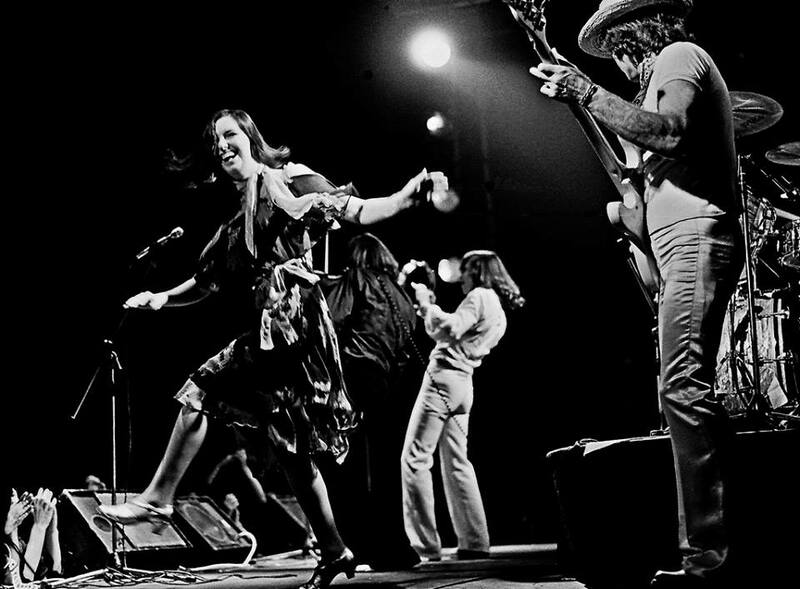 As an English folk band playing to an American Rock audience, they made an impressive impact, often comments are made that it was this tour that got the band so many lifetime American fans. The bands got on well and Ian Anderson worked on the next Steeleye album. 8th University of New Mexico, Albuquerque, NM. Crowd of 15,000 which gave Steeleye a standing ovation. 9th County Civic Centre, El Paso, Texas, 6,300 crowd. 23rd LA Forum. Assumed 5th night that is often quoted as how many nights were played there, but this date has never been confirmed. 28th Cambridge Folk Festival, Headliners. Straight after US Tour. They opened with Lyke Wake Dirge and did the 'Rockers Encore'. 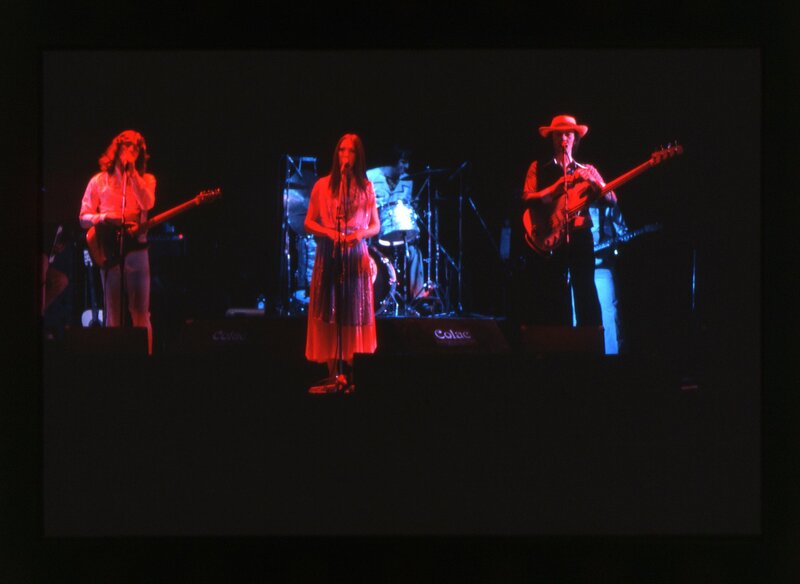 The concert, coming off the back of the US Tour and introducing the bigger band to a large UK Folk audience, has often been identified as a crucial moment for the band, when Steeleye truly became a fully fledged 'Rock' band. The heavier sound and theatricals alienated many of the 'pure' folkies at the festival but introduced them to a new bigger audience. 28th July US TV: KCET PBS-TV. Ch. 28. Los Angeles. Aired 28th July and repeated 30th July as a half hour special. It was also shown on 2nd Sept (repeated 8th sept) because the original airing was postponed due to news coverage, but this may have only been in some regions. Repeated again on Ch7 14th Oct. Unknown where the performance was recorded but if it was US, then almost certainly on the Spring tour rather than supporting Tull. One preview says it was 'taped at KCET' and from available pictures (copywrited) then it looks in a studio to me. Another article suggested that it was taped in England! One track, 'Cam Ye.' was repeated on the NBC 'Midnight Special' show on 30th Nov '73. The show was repeated a year later. A video recording has never turned up but decent audio bootlegs are easy to find. One Misty Moisty Morning; The Oak Tree/Pigeon on the gate; Sheep Crook & Blackdog; Parcel of Rogues; Cam Ye O'er Frae France; Gaudete; Robbery with Violins; Tune collected by 'Sally Grodpile'. 1st 'London Music Festival' Alexander Palace with Incredible String Band. Included the Rockers Encore (including the dressing up). They played Da Doo Ron Ron, Long Tall Sally and Sing Something Simple. 11th Harrogate Royal Hall - Harrogate Arts Festival. Headline with Bridget St John. 8th Albert Hall, London. Included Rockers Encore 'as usual' at this time. Lyke Wake Dirge, Misty Moisty Morning, Alison Gross, Sheep Crook And Black Dog, Cam Ye O'er Frae France, Thomas The Rhymer, Lark In The Morning (the song), Drink Down The Moon, Gaudete, To Know Him Is To Love Him, Doo Ron Ron, Long Tall Sally, and ended with a 'C&W number' (Truck Driving Man (?)) (NME Review). 19th Oct: University of Houston. "Steeleye Span Fan Club" ..! Will be meeting at 1pm to run through plans to watch the repeat viewing of the 'One of a Kind' concert (KYW-TV repeat of the above KCET performance) and a brief informal discussion of the lyrics to 'Cam Ye 'Oer Frae France'. They then met on teh 20th Nov to discuss plans for an excursion to Austin to meet with the LA branch. It finished with 'bring your own spoons'..!! How very very cool, I had to include this! They seemed to keep meeting during 1974. Recording sessions for Now We are Six in the run up to next tour, Ian Anderson helped with mixing and got David Bowie to play saxophone, although Maddy said later that Rick had asked Bowie via a friend. Anderson said he helped make Thomas the Rhymer sound more commercial. This time a successful release of the single Gaudete, helped by being a Christmas song and was BBC Radio 1's 'Single of the Week'. 7th BBC2 - George Hamilton IV TV show. Probably 1 track (Gaudete?) judging by length of programme and guests. 10th: In Concert on Capital Radio. No record of this found but was on Tour Advert above. Becomes a Christmas staple staying the Top 40 for 8 weeks. 13th: TV: BBC1 Top of the Pops. The Band perform Gaudete on the show. The show was wiped from the archive by the BBC. Shown in cinemas during 1974 as a prelude to the the main film. A documentary about Radio 1. Included a clip of Steeleye playing 'Hello Mary Lou' from their BBC Session.